MAXIM Unity is certified as both a twin and a half rope. 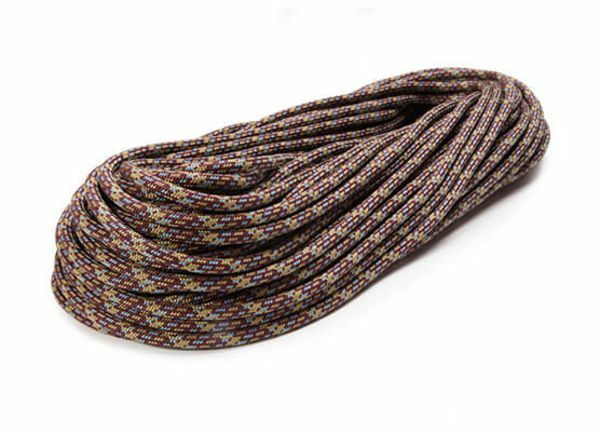 It is a multi-purpose rope that is perfect for the weight-conscious alpinist or climber. Unity is constructed to reduce drag and increase fall protection over sharp edges. Therefore it is perfectly suited as an alpine climbing rope or ice climbing rope. For ice climbing MAXIM recommends 2x-DRY treated models. Unity is a light-weight rope that can be used as an alpine climbing rope, ice climbing rope or for mixed climbing. Due to its certification as both a twin and a half rope, it can either be alternately clipped to protection as a half rope, or used in tandem as a twin or double rope. The half rope technique reduces rope drag and increases fall protection over sharp edges, especially on routes with multiple traverses. The Unity series provides outstanding performance on routes with multiple lenght or long alpine treks where rope use is required for crevasse or fall protection. Unity is light and tough enough to be used for glacier travel on the world‘s most demanding mountains. Unity is available in 8mm and 9mm in both Standard dry or 2x-DRY. Endura STD-DRY models have a dry treated core, Endura 2X-DRY models feature a dry treated core and sheath and meet the UIAA dry standard. Select models also feature our exclusive TPT sheath, which results in even less drag by aligning the sheath yarns with the movement of the rope.